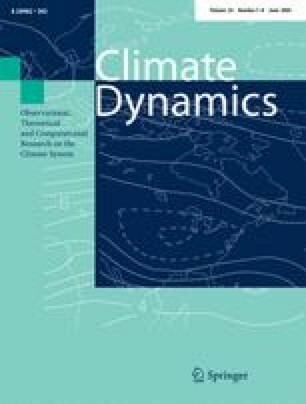 Polar amplification of surface warming has previously been displayed by one of the authors in a simplified climate system model with no ice-albedo feedbacks. A physical mechanism responsible for this pattern is presented and tested in an energy balance model and two different GCMs through a series of fixed-SST and “ghost forcing” experiments. In the first ghost forcing experiment, 4 W/m2 is added uniformly to the mixed layer heat budget and in the second and third, the same forcing is confined to the tropics and extra-tropics, respectively. The result of the uniform forcing is a polar amplified response much like that resulting from a doubling of CO2. Due to an observed linearity this response can be interpreted as the sum of the essentially uniform response to the tropical-only forcing and a more localized response to the extra-tropical-only forcing. The flat response to the tropical forcing comes about due to increased meridional heat transports leading to a warming and moistening of the high-latitude atmosphere. This produces a longwave forcing on the high-latitude surface budget which also has been observed by other investigators. Moreover, the tropical surface budget is found to be more sensitive to SST changes than the extra-tropical surface budget. This strengthens the tendency for the above mechanism to produce polar amplification, since the tropics need to warm less to counter an imposed forcing. The work was supported by IARC/NSF Cooperative Agreement 330360-66900 and the University of Copenhagen. The authors would like to thank R. Caballero for useful discussions, the CAM-user group for answering questions about the 1D CCM radiation model, and E. Schneider and an anonymous reviewer for suggestions and comments that have lead to significant improvements of the manuscript.